LAS VEGAS – (June 18, 2012) – Pets Best Insurance, a Boise-based pet insurance agency serving pet owners across the United States, has retained MassMedia Corporate Communications as its public relations agency of record. 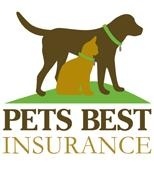 Pets Best Insurance was created in 2005 by Dr. Jack Stephens, the founder of the first pet insurance company in the US who famously insured Lassie, the legendary television dog, in the early 1980s. Today, Pets Best Insurance is one of the lead agencies in the US pet health insurance industry, comprised of a dedicated team of pet lovers and seasoned professionals. MassMedia Corporate Communications was selected to respond to media inquiries and coordinate public relations efforts related to the company’s diverse marketing initiatives and growing policies. To request interviews or to obtain additional information about Pets Best Insurance, please contact Kassi Belz at 702-433-4331, 702-553-9086 (mobile) or kassi@massmediacc.com. With the goal of reducing economic euthanasia and his commitment to the health and well-being of all pets, Pets Best Insurance president Dr. Jack Stephens founded pet insurance in the United States in 1981. A true industry visionary, Dr. Stephens presented the first pet insurance policy to famous television dog Lassie. Dr. Stephens leads the Pets Best Insurance team with his passion for quality pet health care and his expert veterinary knowledge. The Pets Best Insurance team, in turn, is comprised of pet lovers who strive to deliver quality customer service and value. Pet insurance plans offered and administered by Pets Best Insurance Services, LLC are underwritten by Independence American Insurance Company, a Delaware Insurance company. Independence American Insurance Company is a member of The IHC Group, an insurance organization composed of Independence Holding Company, a public company traded on the New York Stock Exchange, and its operating subsidiaries. The IHC Group has been providing life, health and stop loss insurance solutions for nearly 30 years. For information on The IHC Group, visit: www.ihcgroup.com. In states in which Independence American Insurance Company’s new policy form has not yet received regulatory approval, Aetna Insurance Company of Connecticut will underwrite policies. Each insurer has sole responsibility for its own products. To determine the applicable underwriter in your state visit www.petsbest.com/underwriter or please call Pets Best at 1-877-738.7237.